Windows 7 is the most widely expected operating system from Microsoft. It is not only faster and better than Windows vista, the Windows 7 Themes bundled together with this latest windows operating system are gorgeous. A theme is a desktop background (wallpaper) plus glass color, sounds, icons, and more to help you personalize your computer with a single click.Windows 7 Themes bundled together with windows 7 RC are aero Themes and the Release candidate has seven aero themes with each theme having more than one desktop background image. The default theme has a gorgeous fish on a blue background. You can change the theme by right clicking the desktop and choosing “Personalize“. You will then be able to choose from seven gorgeous aero themes, with each theme having more than one desktop background image. When you choose a theme, the corresponding properties will be listed on the lower part of the window. This includes desktop background, window color, sounds, and screen saver.You can customize any of these for the theme you choose. To change a screen saver, click on the screensaver button and choose the one you like. 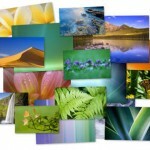 You can even customize the desktop backgrounds for each of these windows 7 themes. For eg: you can even set a photo slideshow as a desktop background.You can also change the frequency of the picture change and the pictures position. You can also turn on the shuffle if you want the images to appear in random order. 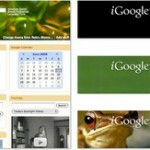 Apart from the default sever windows 7 themes, you can more such official windows 7 themes from here. Currently there are 15 themes available for download, but more will be available soon. Clicking Download will download and automatically install your chosen theme. If you want to revert to your original settings, you can do so in the Personalization Control Panel. 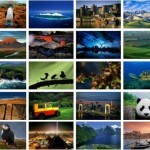 Enjoy the free official windows 7 themes on Windows 7. If you are looking to spice up your XP with Windows 7 themes For Windows XP,you can get this Windows 7 theme for XP or this theme for XP to get Windows 7 looks.